Printable Invitations, anyone? Whatever your invitation and event planning needs may be, we've got a little something for everyone! From bridal showers, to birthdays and holidays, we've got a template to suit your needs, from free printable party invites, to to full invitation and party kits available in our shop. Many of our templates are interactive and can be personalized. All of our printables are open to craftiness and creativity. Lend a personal touch with decorative paper, glitter, stickers, ribbons, and more! You can create your own personal masterpiece! 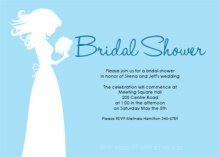 Why Use A DIY Invitation Template? Using a template will save you a ton of money! These days all of us could use to save a few bucks here and there, can't we? Many of our printables are completely free, leaving the cost up to paper and ink! They are convenient! 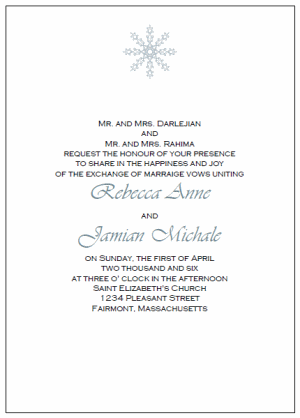 Our interactive templates allow you to type your own wording right onto the invitation. Print the stationery onto some heavy paper, trim them to size and create a completely personalized invite without even leaving your home! Unleash Your Creativity! 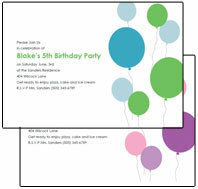 Most of our printable invitations are a stand alone piece of artwork. Which means you can print and use them as is. BUT, if you want to create something extra special there is plenty of room to get together some paper craft supplies and go to town! Dress them up with textured cardstock and decorative paper backgrounds. Add some ribbon, vellum, or paper belly bands. The sky is the limit! These free printable party invitations are perfect for just about any occasion! Use them for everything from a casual get together, to a bridal or baby shower, a birthday, or even a backyard barbecue. Very versatile printable invitations! There's also a fun arts and crafts quarter fold template for a fun crafty party invite or even a great kids craft project. Make your own invites with these printable birthday party invitations, great for any birthday batch from the wee toddlers to the adult birthday party. 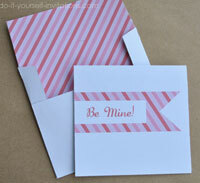 And, of course, a free crafts template for the "hands-on", crafty homemade invitation. Enjoy! 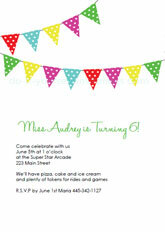 Some free printable kid's birthday party invites, perfect for any children's birthday party. What kid doesn't like balloons? A what kid's party is complete without the balloons!? These are available in both a pink/purple combo, and a blue/green combo. 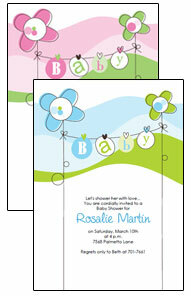 For baby shower printables galore check out our newest free baby shower invitation templates kit. This kit comes with not only printable invitations but also a free envelope liner sheet, bunting flags for a DIY bunting banner, cupcake toppers, favor tags, pinwheels, and more. Print and make your own invitations and party favors! And when the party is over you can even make your own thank you notes with matching envelopes! More free printable baby shower invitations. These are not part of a kit - invitations only. But they sure our cute! Personalize and print em'! These are interactive invitation templates so you can enter your party info and personalize it using your own fonts and colors. 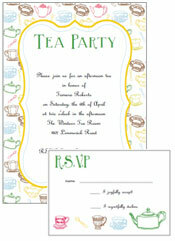 Make your own tea party invites with our printable tea party invitations with matching response card. So very Alice Down The Rabbit Hole! Throwing a party for a recent high school or college graduate? 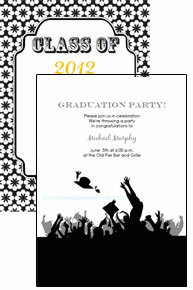 Save money and invite your guests in style with our printable graduation party invitations. These high heel stiletto printable party invites are perfect for everything form a bachelorette party, to a sweet sixteen. A great party invite for the girl with the closet full of shoes! These free party invitation templates feature cute as can be and unique Owl printable invitations. Perfect for a Halloween party, birthday party, or even as a greeting card. Kick off the New Year with some New Years Party Invitations templates. We've got a simple crafty quarter fold for snowy day projects, and customizable invites for a grab and go solution. Send your special someone a cute personalized greeting card with our printable Valentines Day Cards with a matching envelope you can print and make yourself! Throwing a Valentines Day party or just want a unique way to invite you sweetheart on a date? 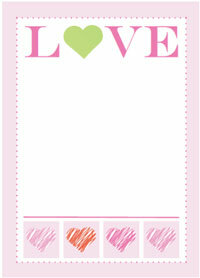 Check out these printable Valentines templates. There's also a matching envelope liner and cupcake toppers. Easter egg hunt anyone? Invite your guests with our cute printable Easter Cards and then create a party with our adorable baby chick cupcake toppers and pinwheel decorations. Create Day of The Dead or spooky invites with these printable Halloween Party invitations. 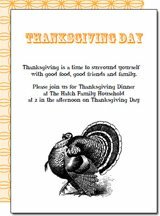 These customizable Thanksgiving Dinner Invitations are great for inviting your friends or family to a formal holiday dinner. 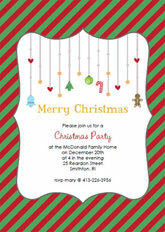 Stand out with colorful and customizable printable Christmas party invitations. Two different color variations are available. 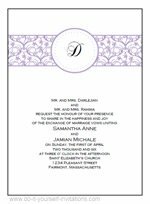 Monogram style printable wedding invitations available in several different colors. Winter Wedding? These printable snowflake wedding invitations are a perfect low budget project for your snowflake wedding. 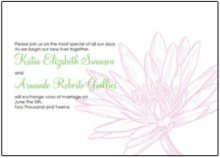 Printable waterlily wedding stationery templates are perfect for a summertime outdoor wedding by the lake. So reminds me of a Princess and the Frog theme! Something borrowed, something BLUE! That's what I was hthinking of with the coloring on these Printable bridal shower invites. But that's not the only color you will find these invites in. There's also pink, lavender, and green. Or you could use our bridal shower templates for the craftinista to make handmade invites or for a fun way to get your kids or nieces and nephews involved! 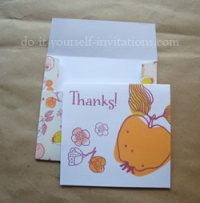 free printable thank you cards and matching DIY envelope templates. Postcard invitations are great for a super simple and casual invite. Just decorate the front of the cards, add an address to the back along with your party information and they are ready to pop in the mail. No envelope required. Great for kids parties and craft projects, any holiday or casual party, as well as birth announcements and more. If you have been browsing our site you will have noticed countless tutorials and tips for making handmade invites. I have also added a number of completely blank templates that are meant for printing the text only cards. These templates are meant to accompany many of the tutorials featured on our Do It Yourself Invitations.com. The templates are fantastic in creating several different format of invites/cards from standard folded cards, to 5" by 7" flat invitations set up to print two to a page with cutting guidelines and all. 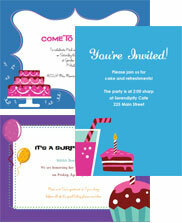 We have templates for creating birthday, baby shower, and party invitations. I have also created a special section for wedding stationery. Our wedding invitation templates include everything from the invites to place cards, favor tags, and wine labels, along with ideas on how to get creative with them! Looking for a little more selection? We have an ever growing selection of templates and kits. Our birthday templates and printable party kits are a perfect solution to making quick and stylish homemade invites. Stay tuned as we are getting ready to add all kinds of extras such as cupcake toppers and envelop liners! It will be your all-in-one stop for invites and paper party needs! Making your own wedding invitations can save a bundle on that expensive wedding budget. Our printable wedding stationery kits are available as a single invite and response card kit, as well as large kits including everything from the Save The Dates down to wine labels, programs and favor tags. 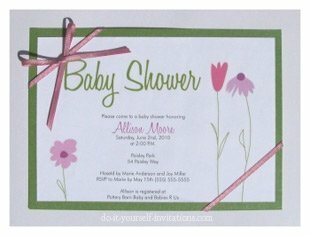 Cute as can be baby shower invitation templates and printable party kits offer a perfect solution to a personalized shower invite to fit your party theme. Stay tuned and check back often for new invites and special printable extras!